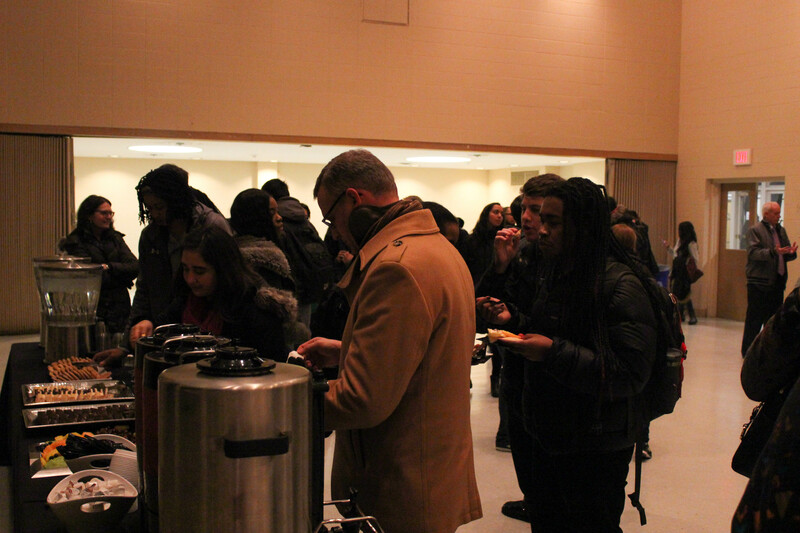 Students, faculty members, coaches, and others attend the reception in Parkes Hall following the memorial service. 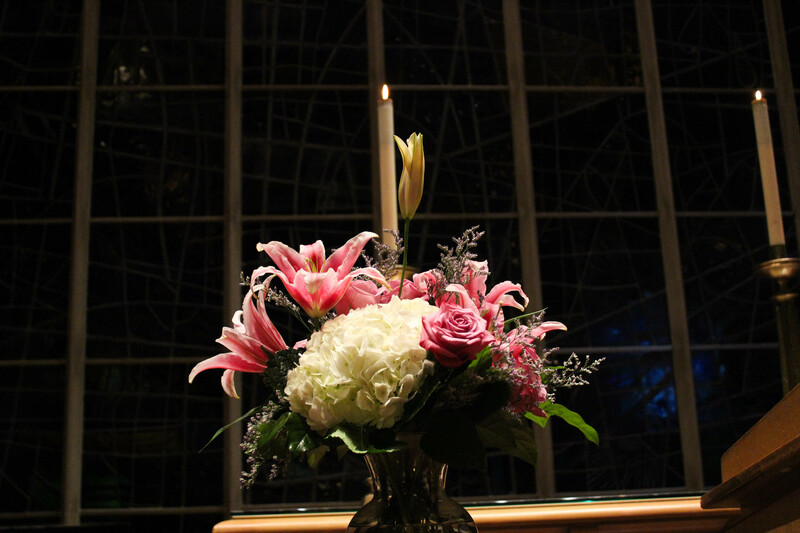 Flowers for Jordan Hankins sit next to the lectern in Alice Millar Chapel. 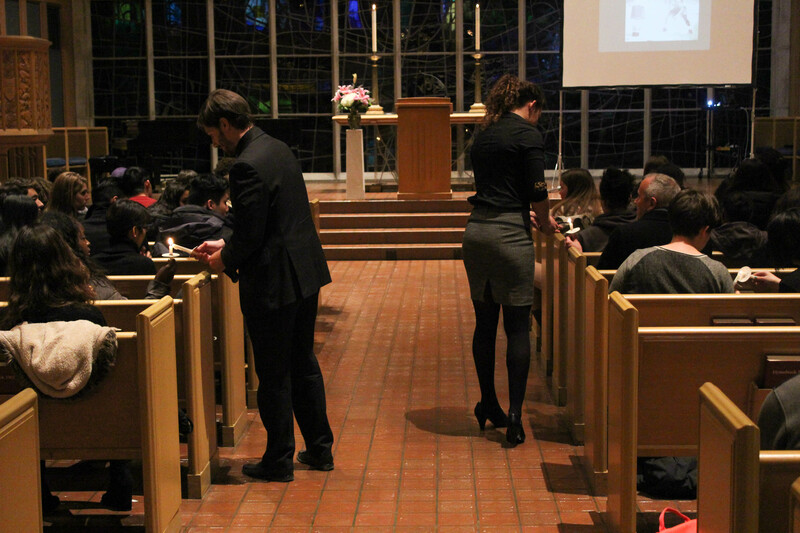 Attendees file back in through the chapel for the reception. 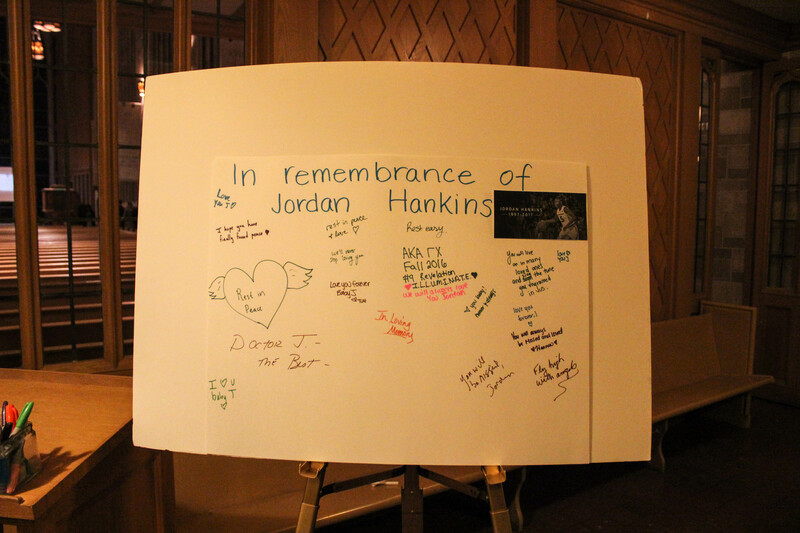 A signature board for Hankins stands outside the door to the chapel. Attendees prepare to release balloons outside Alice Millar Chapel. Teammates, friends, coaches, students, professors and others blow out candles at the memorial service. Attendees light candles before a prayer for Jordan Hankins. Christen Johnson, one of Hankins' former teammates, speaks at a memorial service for the former Northwestern Women's Basketball player. 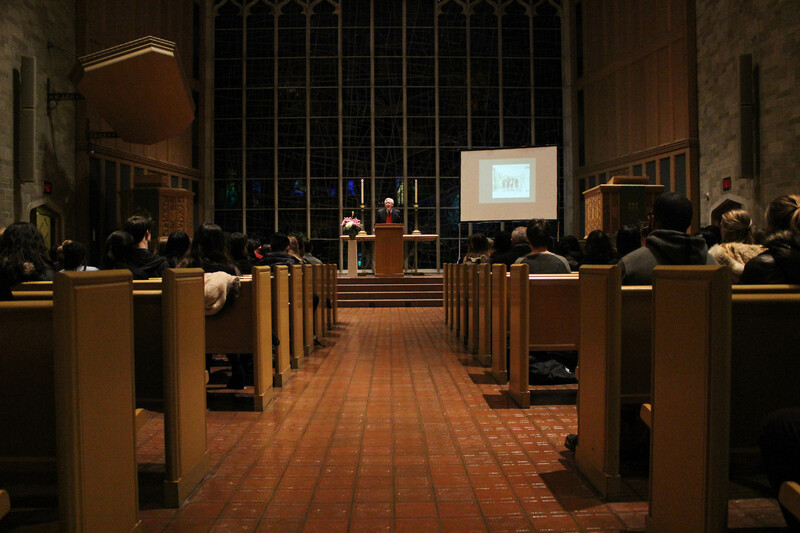 University Chaplain Tim Stevens begins a memorial service for Jordan Hankins Wednesday night. 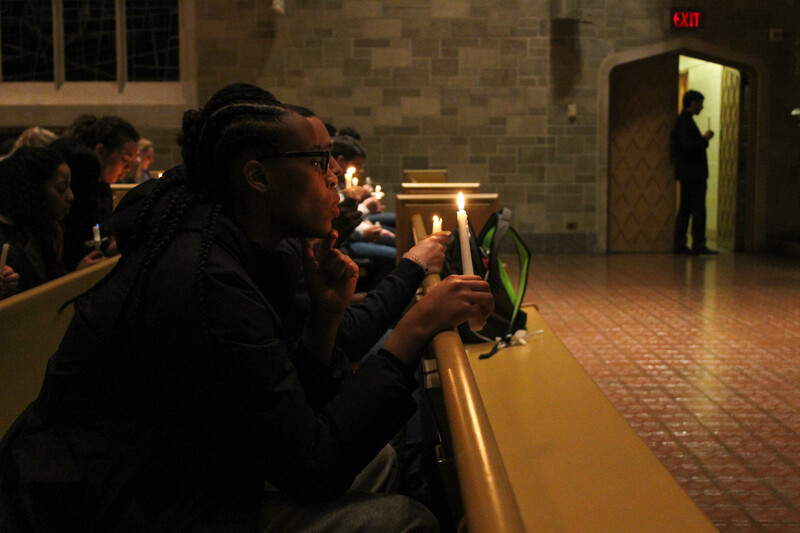 ASG hosted a memorial service for former Northwestern student and women’s basketball player Jordan Hankins Wednesday at Alice Millar Chapel. Hankins was a sophomore guard on Northwestern’s women’s basketball team who committed suicide last month. Teammates, coaches, professors, friends and others who had known Jordan came to the memorial service to celebrate her 19 years of life, and share stories about their experiences with her in her time at Northwestern. 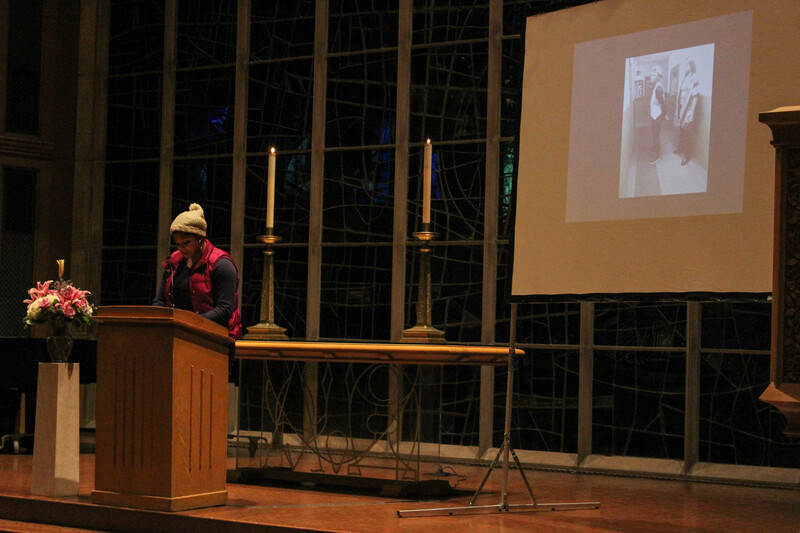 Christen Johnson (Medill '16), one of Hankins' former teammates, led the service, talking in front of a screen playing a slideshow of photos of Jordan. She said her former teammate was an energetic, happy young woman, and emphasizing the need to celebrate her life, explaining that she is in a good place. “She’s okay and she’s safe and she’s happy, and we should rejoice in that,” Johnson said. Several attendees stood up to talk about their personal experiences with Hankins, including women’s basketball head coach Joe McKeown, who recalled taking Hankins on an architecture boat tour of Chicago during the process of recruiting her for the team. The boat tour, he said, showed him Hankins’ enthusiastic attitude and made him believe that she had her heart set on Northwestern. “Jordan was fascinated,” he said. Others to speak included a faculty member who had taught Hankins over the summer and remembered “her energy and her excitement,” another member of the Women’s Basketball coaching staff who called Hankins “fearless,” and two teammates who told stories about happy memories with their friend, like going to the Taste of Chicago and listening to J. Cole in the car. University Chaplain Tim Stevens spoke at the beginning of the service, providing words of comfort and memorializing Hankins. Attendees then passed around flames to light the candles they held, and sat with their heads bowed as Johnson led a prayer for Hankins. 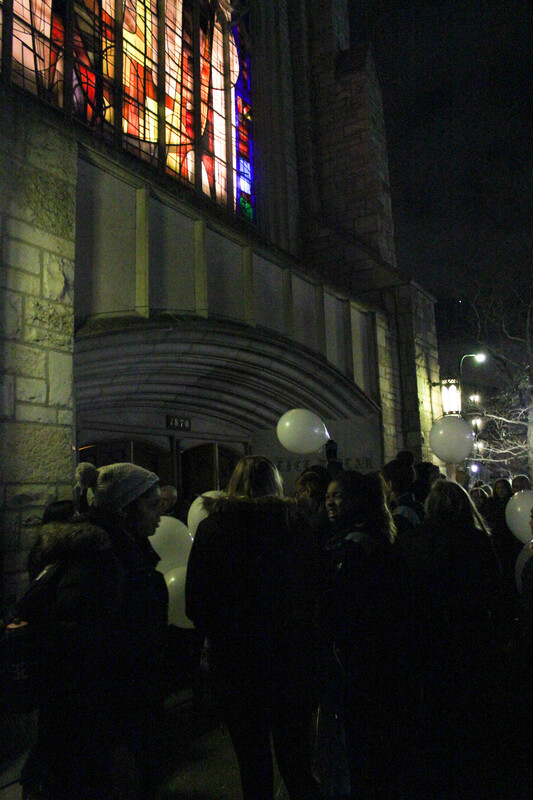 After the prayer, attendees made their way to just outside the front doors of the chapel, where teammates handed out balloons for a balloon release. 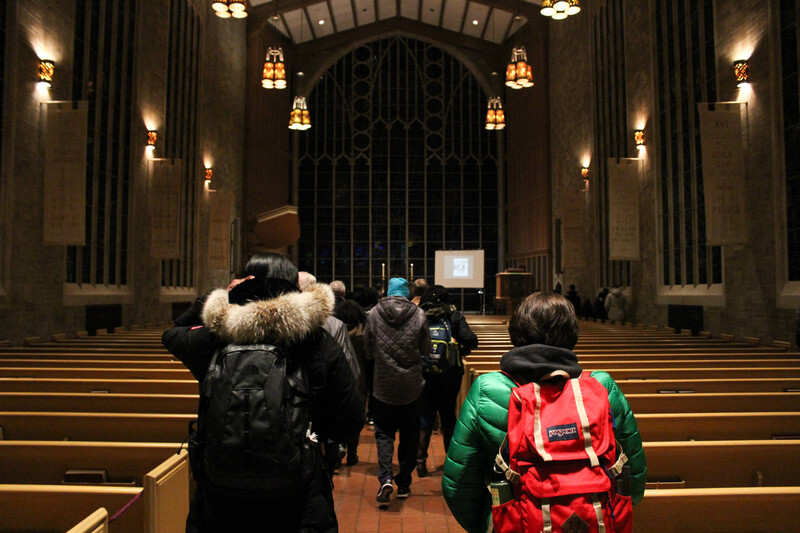 As the white balloons floated into the night sky, attendees filed back inside for a reception in Parkes hall. McCormick junior Marcellus Traynor attended the event with his girlfriend, a manager on the women’s basketball team, and talked about the comfort in seeing so many people from different areas of Hankins’ life at the memorial.